I am not sure when this love affair began. As with so many love affairs, I was in the middle before I knew I had begun. And also as with so many love affairs, I was seduced by words. It was the words that pulled me in, the words describing a world, lifestyle and frequently, a time period far removed from my own. Through those words I followed along as Lord Peter punted down the river in Oxford with Harriet. I danced at the assembly in Meryton and watched as Elizabeth was dismissed as negligible by Darcy. I leaned against a fence beside Lord Emsworth and gloated over his prize pig. I learned the phrases and manners of Regency England. I lived through the war years in Barsetshire and reveled in the minutiae of small town life. I traveled to a farm in the Yorkshire Dales with James Herriot and watched as a newly delivered lamb clambered to its feet. And then I started another love affair, a love affair with a man who was almost as obsessed with England as I was. I think I fell in love with him when I asked him if he liked to read and he said yes and then recommended James Herriot's books. I might have swooned. A man who read and who liked some of the same books as me. Dreams do come true. When we had been married for a couple of years we went to London on vacation. It was like having a history book and a novel come to life. So many things seemed familiar because I had read about them. It was as if I recognized everything but I just hadn't been there in a while. It created this strange sense of belonging. I felt like I had gone home to a place I had never been. But I had been there before. I had been there in all the books I had read. Why do some places catch our imagination? Why do some places feel right when we first arrive? I don't know the answer, I just know England is that place for me. I relate to a culture where being private and reserved is acceptable. I love a culture where drinking innumerable cups of tea a day is normal. I love a country where 80 degrees is considered a heatwave. I know England is a country like any other with its problems and problem people. I know it isn't perfect. But I also know that in the US I frequently feel slightly out of step with the world around me. In England I feel like that hesitation in my step, that out of sync rhythm, is gone. I am sure there is someone reading this and shaking their head and thinking "It is just because she is on vacation. Life is always better on vacation." I have been on a lot of vacations and I always play this little game with myself. Would I live here if I could? Frequently the answer is no. It is a fantastic place to vacation but I know I would never want to move there. With England the answer is always yes. I would live there in a heartbeat. My husband and I are in England right now. It is our ninth visit together, my husband's tenth. We go back because it makes us happy, because, at this point, it is familiar. We will wander through stately homes, admire the gardens, and browse through the book stores. We will sit in coffee shops, do a little shopping and visit a few museums. We will enjoy ourselves in our own quiet way. And then we will come home to our everyday life. We will come home to kids and bills and work and responsibilities. We will feel a little homesick for a place we have never lived. I can do all of this because my love of books and my love of England and my love of a man are inextricably entwined. This is such a lovely post! I have sometimes wondered if I could claim cultural asylum in England. I look forward to hearing more about your visit - have you visited any book shops yet? As for book shops, I am home now and I bought seventeen books. I could have easily bought more but there is the problem of getting them home. So that is a few book shops. I'll have to write a post about them all. A lovely post. I consider myself very lucky to have been born in the far south-west of England and I couldn't imagine living anywhere else, but I love that I am able to visit so many other places in books. Thank you. I would love to explore more of England but unfortunately we are limited by time. The wonderful thing about books is that they are their own form of transportation. Thank you. Yes, sometimes I feel as if my sensibilities are more British too. I am home now and already wish I could go back. I will have to settle for traveling via book for now. I have never driven in England. I know we could have a lot more freedom if we did but it is scary! We use the train system a lot. Thanks for stopping by and leaving a comment. It was nice to meet you! It is a lovely post. I hope your visit is everything you could wish. As a Scot I hope you decide to visit Scotland sometime in the future too. Scotland is very high on my list of places we want to go. In fact, we almost went there this year. My husband has been before but I never have. It looks so gorgeous. Dear Jennifer, I echo the chorus above. This is a beautiful post, more so because it perfectly describes the love affair I have with England myself. I may not be in a relationship with another Anglophile, but like you I lived England through the novels and books I devoured in childhood. 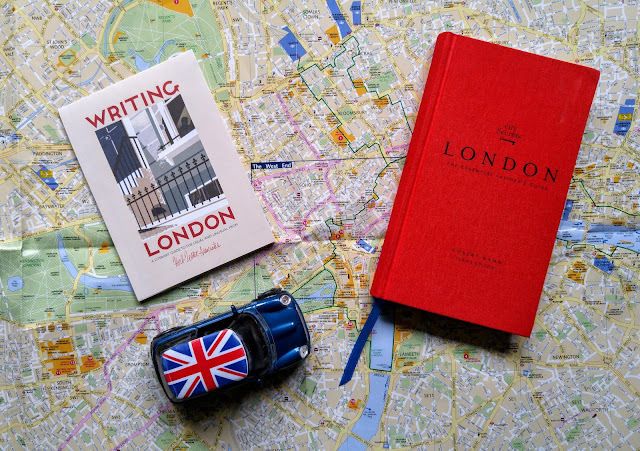 I lived in London during a semester abroad, and immediately the place felt more familiar than unknown. I was sad to leave, because I knew I could live there if I could. I miss England often. I think the thing about England is that you read about it in books and then when you visit, it is exactly the way you pictured it. That is so rare, for a place to so completely live up to expectations. I envy your semester abroad. We are always trying to cram everything into a week. It must have been nice to settle in and just live there for a bit. "It created this strange sense of belonging. I felt like I had gone home to a place I had never been." Dear Jennifer, this post is so lovely and I think I kinda understand how you felt here. I came from a place 16 hours flight away from England and I was only 17 years old back then when I first stepped in London, I knew nothing about England but I just fell in love with it immediately. Though I had to go back home five months later, there isn't a single day I miss London and I feel like I just need to go back again every year until I finish my study and be able to move to England for good. This time for me, home isn't the place where I grew up, but London is. There is something so special about London, isn't there? Some places just speak to our hearts. I envy you your five month stay in England. That must have been an amazing experience.